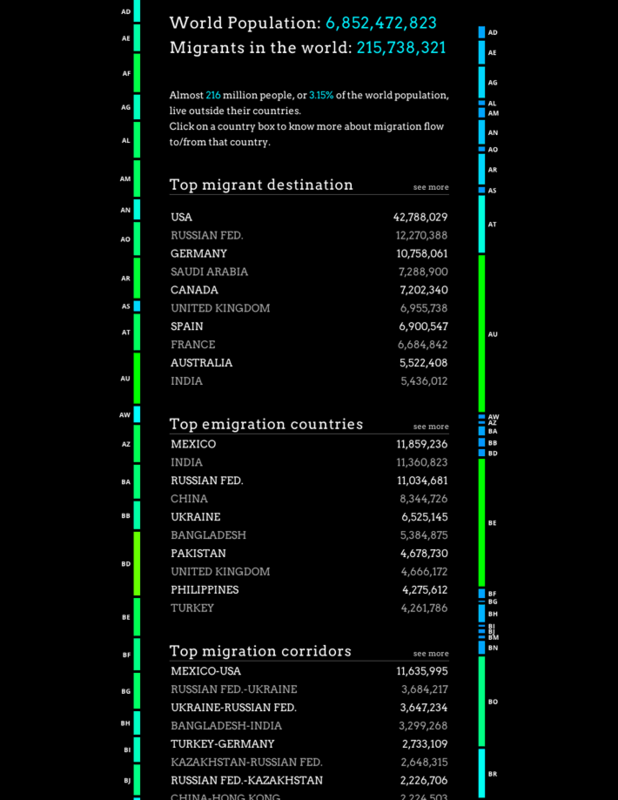 Peoplemovin, an experimental project in data visualization by Carlo Zapponi, that shows the flows of 215,738,321 migrants as of 2010. 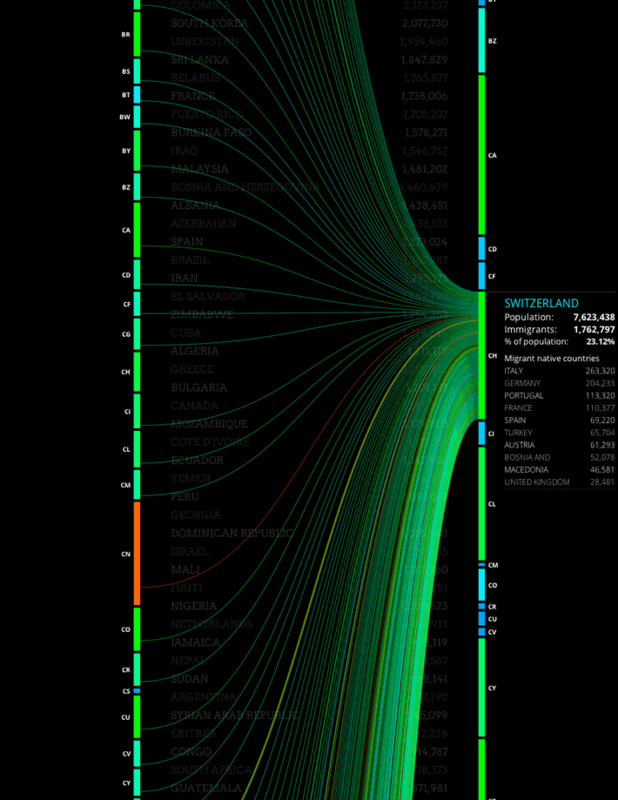 The migration data provided by The World Bank is plotted as a flow chart that connects emigration and destination countries. 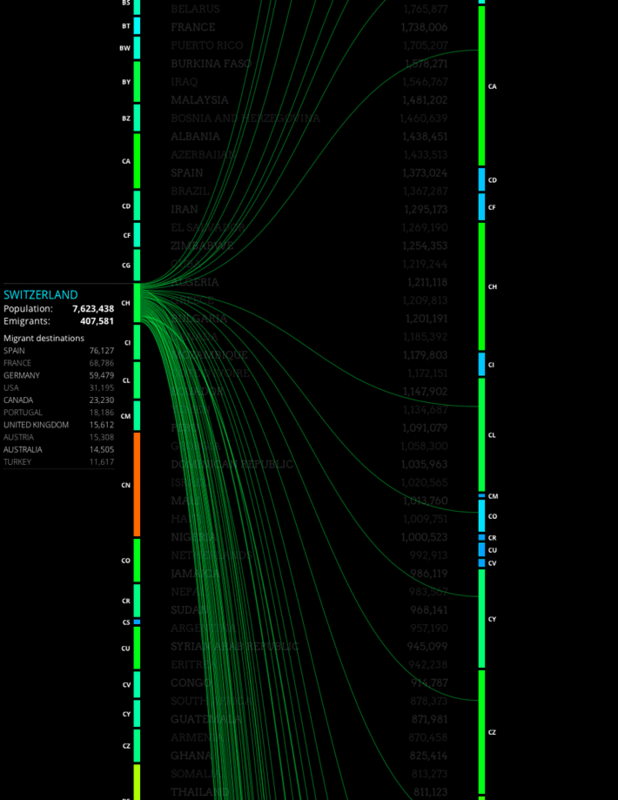 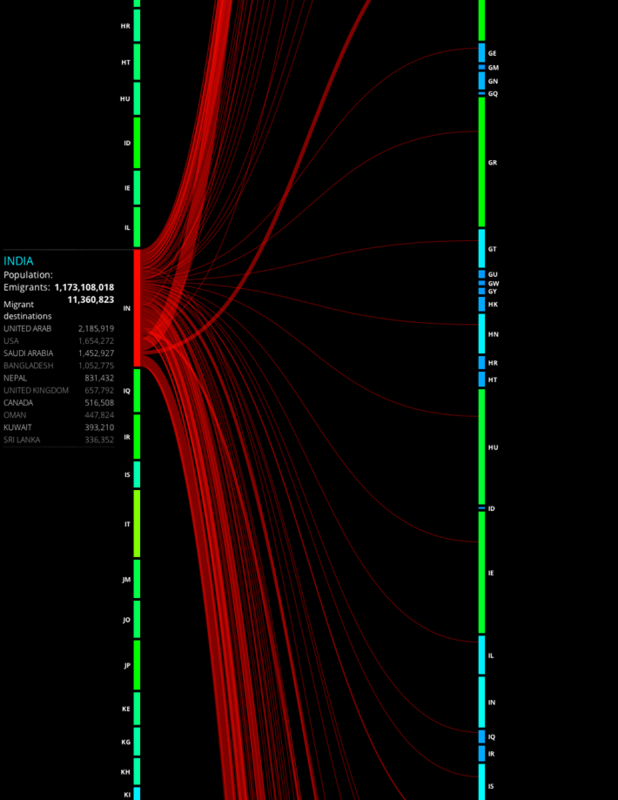 The chart is split in two columns, the emigration countries on the left and the destination countries on the right. 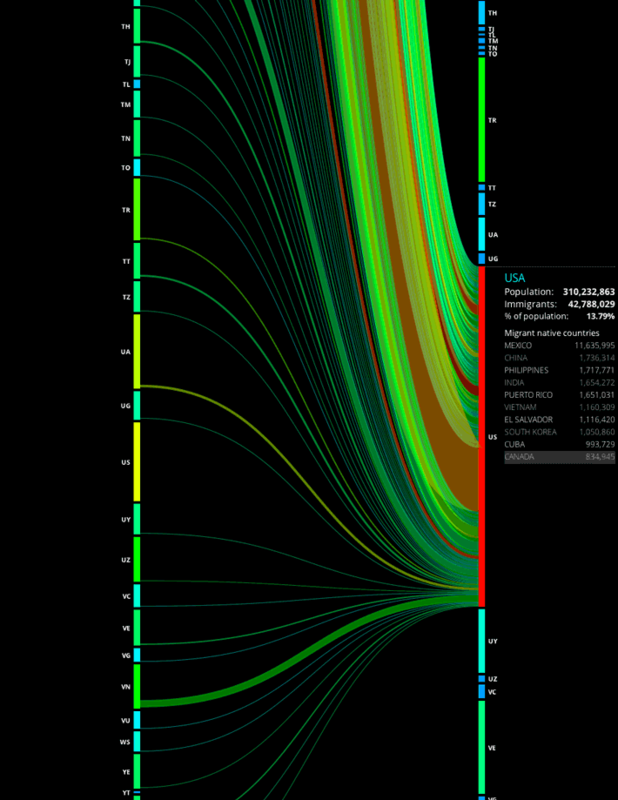 The thickness of the lines connecting the countries represents the amount of immigrated people and the color code from blue to red puts the countries in comparison to the rest of the world.